The ski resort lies just outside the town of Murau, most famous for its brewery and the beer of the same name. The town lies on the river Mur. 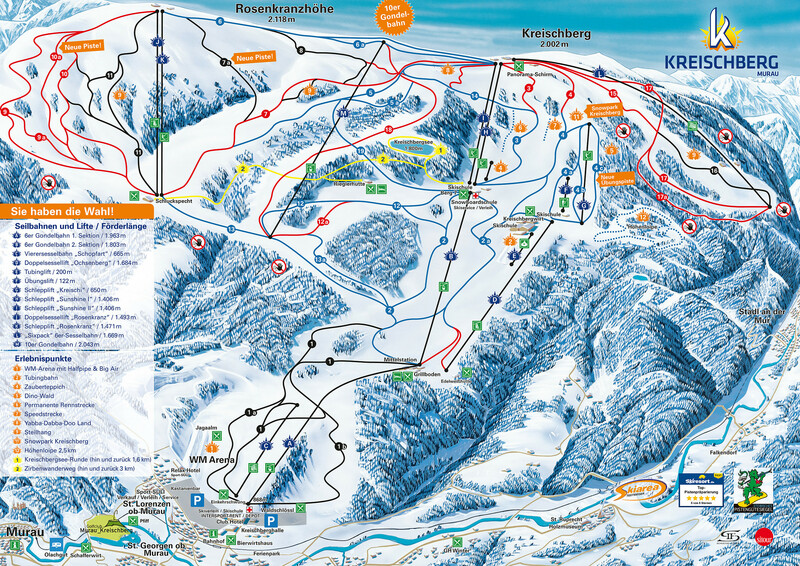 Kreischberg is very easy to get to. You can fly to either Vienna or Graz and then by train to Unzmarkt. From there you can take the narrow guage railway or taxi to Murau. Transfer times are about 3 hours from Vienna or 2 hours from Graz. The train costs about £40 from Vienna and £50 from Graz. We can arrange taxi transfers as required. Slopes: 40km slopes with snow guarantee. Lifts: 14 cables cars and lifts. Enjoy carving and boarding in the trendiest ski area in the region. 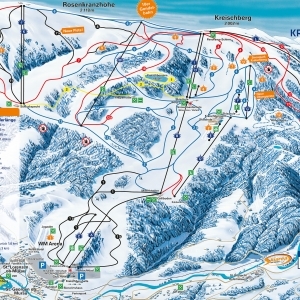 Kreischberg will enchant you with its splendidly wide slopes, many opportunites for adventure, a cool apres-ski and mountain hut atmosphere - and now a new six seater chair lift and a new 'super-piste'! Kreischberg stays a fixed point in the snowboard World Cup. On the 6th and 7th of January the best boarders of the world will have two world cup races at Kreischberg.